Mesut Ozil's father, Mustafa, has advised his son to retire from international duty after being "offended" by the treatment he has received. The Arsenal playmaker went into the World Cup under a storm being pictured with controversial Turkish president Recept Tayyip Erdogan, and was then booed during a pre-tournament friendly. 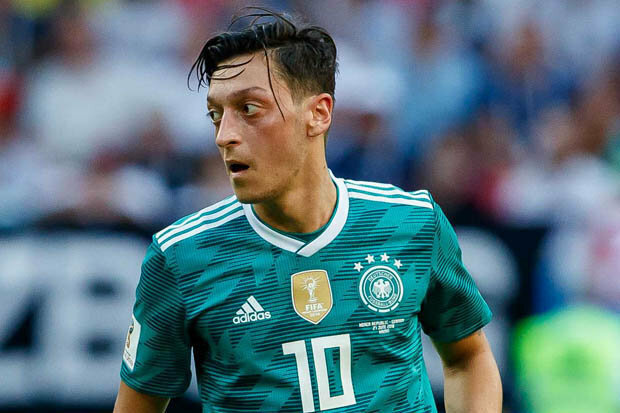 Germany's group-stage exit exacerbated the criticism, Ozil was dropped for Die Mannschaft's sole win in Russia, and now Mustafa feels it's time to call it a day on the international scene. "If I were in his place, I would say: 'Thank you, but that's enough,'" Mustafa told Bild am Sonntag. "He's bent, disappointed and offended, yes, offended, his own fans booed him before the World Cup at the international in Austria and he cannot understand why. "He doesn't always have to defend himself. He's played in the national team for nine years ... and became a world champion. "It's always said that if we win, we win together, but if we lose, we lose because of Ozil. He's booed and put up as a scapegoat – I completely understand that he is offended. "Mesut's been an example for years. The situation is absurd – he loves Germany and has shown commitment to his country, that he's presented as a scapegoat is so unfair."